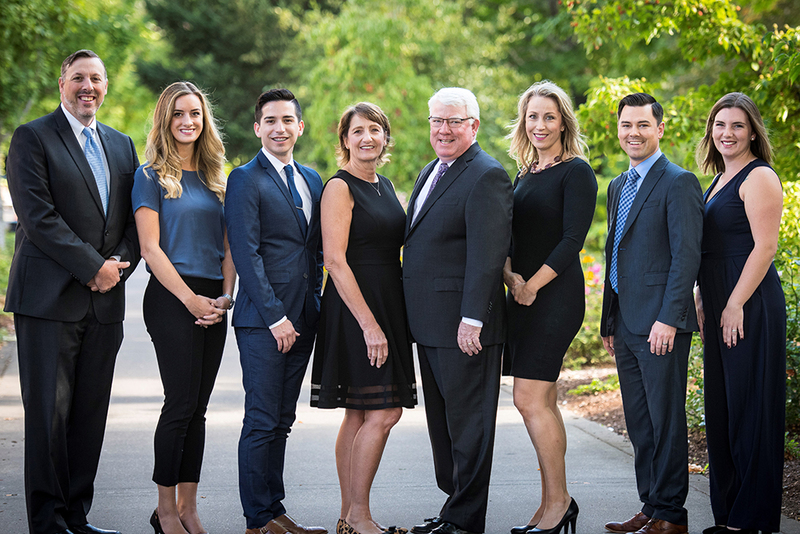 We are a premier wealth management firm dedicated to cultivating generational relationships with successful individuals, families and businesses. By listening to, and clarifying your unique vision, we deliver holistic solutions which allow you to progress confidently through all stages of your financial, professional, and personal life. Keith Dragoo has a deep passion for listening to his client’s needs while allowing them to express their true financial goals. He is dedicated to providing solutions and distribution strategies as unique as each individual he serves. Keith Dragoo works extensively with successful businesses and individuals. His greatest value is his ability to connect with his clients and develop long-term relationships. Brady Sahnow is a Financial Representative who is passionate about helping our clients build and grow to achieve their most desired outcomes. Brady is a Corvallis native, graduating from Corvallis High School. He received a degree in business from University of Puget Sound and his MBA from Oregon State University. Brady is currently the Assistant Coach for the Corvallis High School varsity basketball team and coaches both of his sons in a variety of sports. He and his wife Shahnaz enjoy traveling and rooting for the Beavs. Jessica Jacobsen serves as the Chief Operations Officer for our office and is responsible for the day-to-day leadership and general management of the firm. Jessica started with Northwestern Mutual in 2011 as Client Services Manager at which time she obtained her Oregon Life and Health Insurance License. In 2013 she earned her FINRA Series 7 and 66 securities licenses to allow her to serve our clients' investment needs. In Jessica’s spare time you'll find her enjoying the Pacific Northwest with her family and cheering for the Oregon State Beavers. Lucy joined the Dragoo Financial Group in 2017 and works directly with Keith in serving our clients. Lucy is an Oregon native, growing up in Portland before moving to Corvallis for the last three years as she works to achieve her bachelor’s degree in Business Administration from Oregon State University and is currently studying to obtain her Finra Series 7 licensing. Lucy strongly values her relationships with others. She loves talking with people, learning more about them, and emphasizes empathy, compassion, and trust as the building blocks of a long-lasting relationship. In her free time Lucy enjoys skiing as well as spending time with family, friends, and her dog Phoebe. Mitchell joined the team in April 2017 as an Associate Financial Representative. He works with Brady to ensure our client's needs are met with care and precision. Mitchell grew up in the Willamette Valley and received his Bachelor’s degree from Western Oregon University in Communications and Public Administration in 2016. Mitchell is involved in several local organizations with community outreach and activism. He earned his Oregon life and health license in 2017 and is working toward his series 7 and 63 licenses. Mitchell brings a readiness to learn to every experience and a genuine interest in each person he meets. When not at work Mitchell can be found with his two dogs on a trail exploring the Pacific Northwest or winetasting with friends and family. He also enjoys experimenting in the kitchen, reading, podcasts and writing. Stephen joined The Dragoo Financial Group in September 2018 as the Director of Investment Operations. Stephen provides analytical and strategic financial planning for our investment operations and ongoing servicing of our client’s portfolios. Prior to joining The Dragoo Financial Group, Stephen worked as a Financial Services Professional. As a licensed registered rep, Stephen has passed his Series 6 and 63 exams, is Life and Health Insurance licensed in Oregon and Washington. Born and raised in Eugene Oregon, from 2007 to 2014 Stephen served in the US Air Force overseas. Following his service, Stephen received an MBA from Northwestern Christian University in 2016. In his spare time, Stephen volunteers on a not-for-profit Board, explores the Pacific Northwest with his wife Autumn and two sons, and is active in his church. Erica joined the Dragoo Financial group in January of 2017 as our firm’s Client Service Manager. During her time, her she has demonstrated an ability to work closely with clients to assist in the creation and implementation of their financial goals, while focusing on developing long lasting client relationships. Before joining Team Dragoo, Erica graduated from Oregon State University in 2017 with a Bachelor of Science degree in Kinesiology. In 2018 Erica earned her Oregon life and health license. In her free time, you can find Erica enjoying time with her friends and family, wine tasting around the Willamette valley, snowboarding, and rooting for the Beavs!